Have a question for Sky Inn 1? Planning an incredible trip is easy when you book a stay at the Sky Inn 1. The rooms here overlook the city, so you can peer out at the lively city streets. 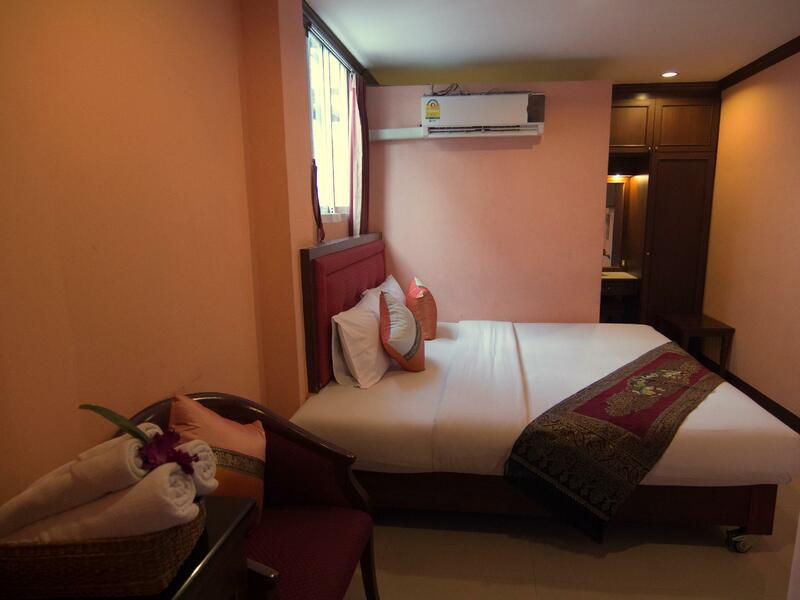 This hotel is close to Nana, Nana Square, Gulati Bespoke Tailoring, Boss Sukhumvit Tailor, and New Landmark Boutique. It has a coffee shop, restaurants on-site, and room service, so there is an assortment of dining and snacking options. If you want to spend the day simply relaxing and unwinding, get a massage nearby. With guided tours available, the Sky Inn 1 is the perfect place to stay to learn about the area. 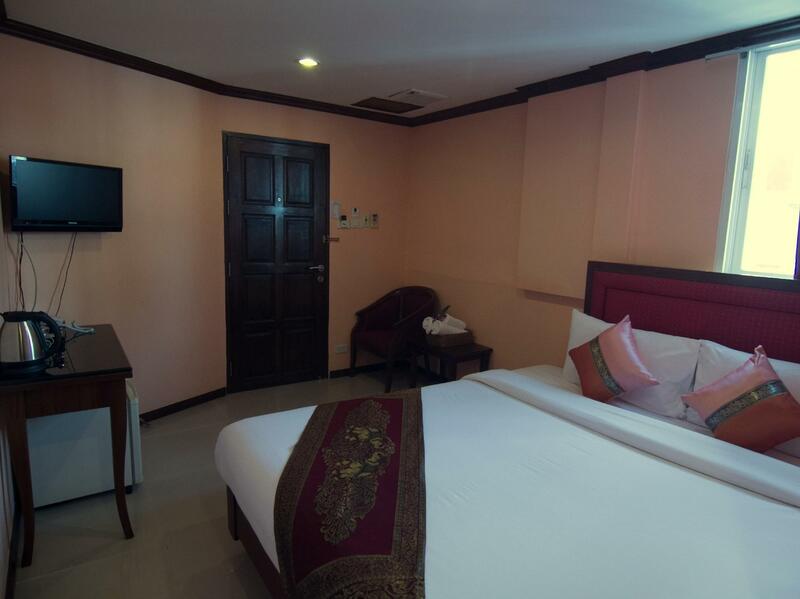 The hotel has numerous convenient features, such as a selection of shops, safety deposit boxes, and a smoking area. All of the rooms come with air conditioning, a shower, a closet, and linens, as well as a sofa, a coffee or tea maker, a desk, a CD or DVD player, and other amenities. The Sky Inn 1 offers a range of useful services, which include dry cleaning services, luggage storage, as well as laundry services. There's free Wi-Fi available in all rooms, as well as Wi-Fi in common areas, ensuring that visitors are able to contact their loved ones back home without splurging on international charges. With pet-friendly facilities, the Sky Inn 1 is perfect for visitors who can't bear to part with their pets. The front desk is open at all hours, so there will always be a member of staff behind the desk to assist with any questions that you have. Nana BTS Station is 430 m away and Phloen Chit BTS Station is 490 m away. The nearest airports are Don Mueang International Airport (DMK) and Suvarnabhumi International Airport (BKK), which are 19.8 km and 22.2 km away. Check-in is offered from 10:00 AM and check-out is until 12:00 PM. I have stayed here a few times, but not for a few years. The condition of the hotel has really gone down hill. The room,headboard, sheet, walls, bathroom all very dirty, such a shame, lick of paint and some new furniture and it could be ok. Went to check out and the night porter had gone out, had to wait 20 mins. It is right in the middle of the Muslim district (which does not bother me at all) but its location next to many restaurants and small street market makes it very noisy early in the morning. It was good value for money, but there is much better places to stay close by. Rooms looking more like a narrow wagon; AC blowing directly on one of the beds. Not even a shower curtain.